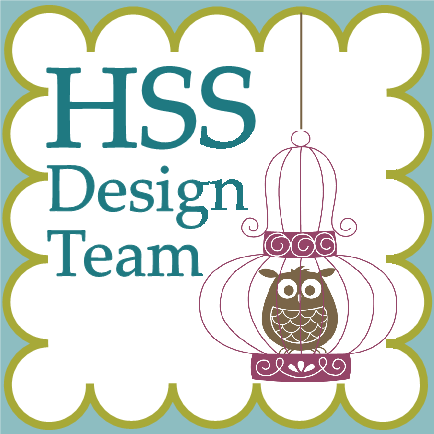 This simple 3″ x 3″ Christmas card can be used for a gift card. 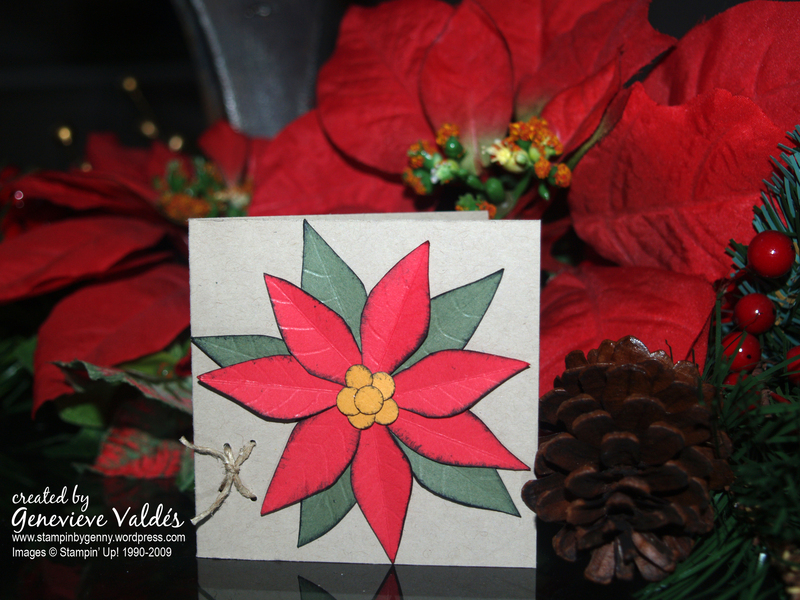 The poinsettia is made with this online template. You can decide how big you want the poinsettia by either enlarging or decreasing the size of the template. I cut out the pieces and with a stylus I embossed the leaves and stems. After embossing I sponged the petals, leaves and centers with black ink to give the flower depth. I used snail to adhere the petals and the centers then punched 4 holes to lace hemp twine then tied with a simple knot.